What do indicators look like? Leading indicators measure the rate of change in the price action and can register when the price action is slowing down or speeding up. Leading indicators can provide signals ahead of time, while lagging indicators are generally used to confirm the price action, such as the strength of a trend. For example, if the price action has rapidly risen and then begins to slow, a leading indicator can register this change in momentum and hence provide a signal that the asset may be due for a reversal. 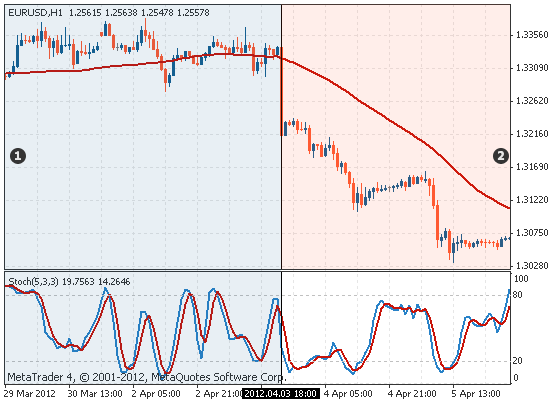 A lagging indicator is generally used to confirm what the price action has done, such as whether the price action has entered into a trend and the strength of that trend. They are called lagging indicators because they lag behind the price action. The trend on a chart, as well as its strength, is not always obvious and a trending indicator can make this clearer. Trending indicators tend to be lagging in nature. Trending indicators tend to be lagging in nature and are used to identify the strength of a trend, and help find entries and exits in and out of the market. When the price is moving in a range, an oscillating indicator helps to determine the upper and lower boundaries of that range by showing whether something is overbought or oversold. They do this by oscillating between an upper level and a lower level. Oscillating indicators tend to be leading in nature. Oscillating indicators are used in a range, tend to be leading in nature, and determine whether the asset is overbought or oversold. If an oscillating indicator signals that an instrument is overbought, a trader will be likely to look for short positions. Likewise, if an oscillating indicator signals that an instrument is oversold, a trader will likely looks for long positions. The type of indicators being used depends on the trading system, and ultimately comes down to the preference of the trader. The type of indicator you use is up to the trader's preference; however oscillating indicators are useful in ranging markets, while trending indicators are useful in trending markets. For example, if you prefer to trade in ranging markets, then oscillating indicators, such as the stochastic, commodity channel index or the relative strength index, will be useful to help make trading decisions. If you prefer to trade in a trending market, then trending indicators, such as the MACD or average directional index, will be more useful. 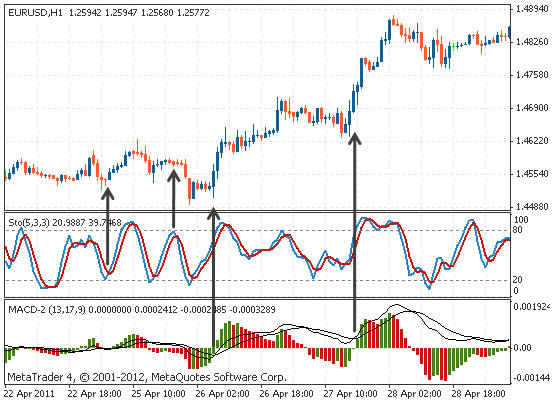 Combining trending and oscillating indicators to use in different market conditions is beneficial. Market conditions continually change from ranging to trending and back again, and so you can use each indicator according to its strength. Once it becomes clear how useful indicators can be, there can be a tendency to use too many indicators on one chart. 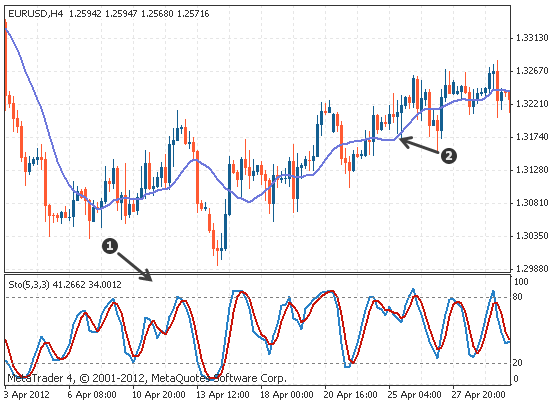 For example, if a trader has added three oscillating indicators below a chart, then there are three indicators providing the same information. Adding more indicators that supply the same information to a chart will not make them more reliable. They simply show the same overbought and oversold information in different ways, and only take up more space on your chart. 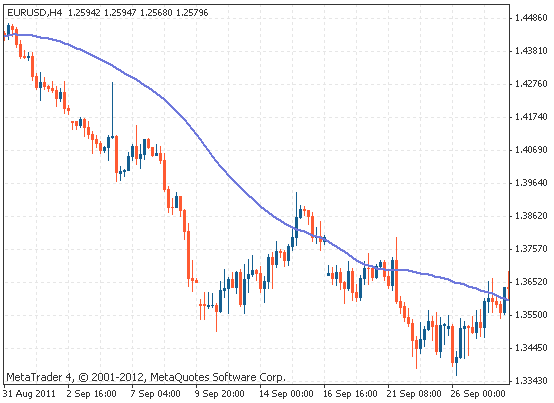 ... indicators can be displayed either on the price chart itself, or below in a separate area. 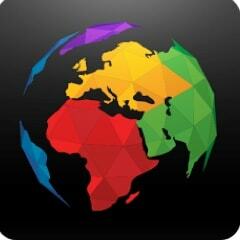 ... there are many types of indicators, each with their own purpose and benefit. ... a lagging indicator will confirm the market conditions, whereas a leading indicator can provide trading signals for future price action. 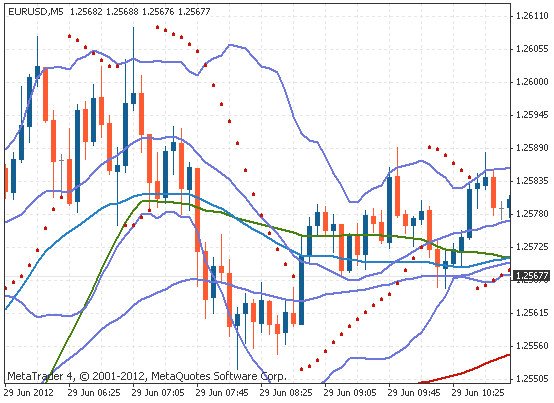 ... trending indicators can help determine whether the market has entered into a trend and the strength of that trend. ... oscillating/ranging indicators can help determine when the market is overbought or oversold when the market is ranging. 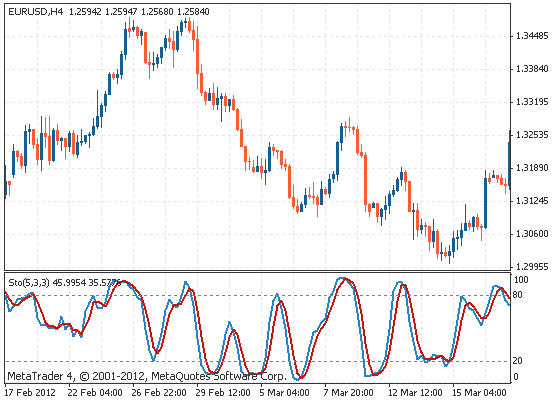 ... indicators can be combined and so that they can be used over different market conditions. ... combining indicators of the same type is ineffective, because they in essence show the same information. ... you should not overload your charts, because too many indicators can give you conflicting signals.